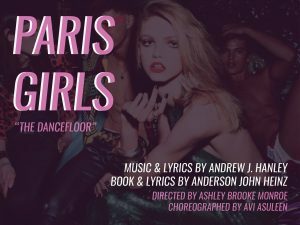 I’m so excited to be working on another number from the new musical “Paris Girls”. It’s an incredibly fun, ambitious, and interesting new musical- come see a small piece of it on September 18th at The Choreography Lab! Tickets and more info at: www.nytheatrebarn.org. Avital is ecstatic to announce that in July 2017 she will be joining the Tap faculty of Mark Morris Dance Group in Brooklyn! She will be teaching a beg/int. tap class on Tuesdays at 6:30PM, and will add on two youth classes in the fall. 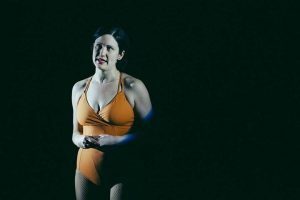 A Chorus Line was a wonderful experience- so happy I got to play Sheila! 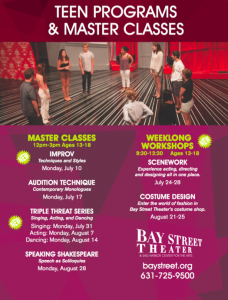 On Friday, we start rehearsals for the national tour of “The Teacher from the Black Lagoon, and Other Storybooks,” which I am directing for Theatreworks USA. Great way to start 2017! 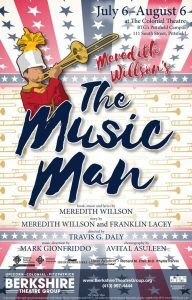 The fabulous Faye Conway depends on her best friend and television producer Jackie Babineau-Miller, and has for the past 45 years. But as the two celebrate Faye’s television comeback, old wounds are re-opened, and they must face the truth about the girls they were, the women they’ve become, and what it means to let go of those they love the most. I’m currently working as the associate director on Men With Money, a new musical by Bill Nelson and Joseph Trefler, directed and choreographed by the wonderful Geoffrey Goldberg. We run November 17th-20th at The Secret Theatre in Long Island City!